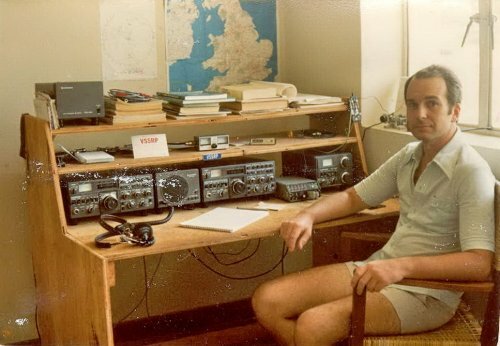 1979-1981 call VS5RP - shift supervisor at the Telesai Earth Station in Brunei working for Harris International. 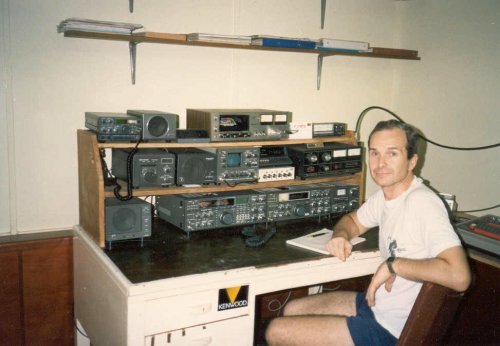 1983-1987 call P29PR in charge of the Engineering Planning Department P&T in Papua New Guinea. 1992-1993 call A45XF working as a Consultant for Ewbank International supervising the installation of 300km of fibre optic cable in Oman. 1993-1997 call 4S7RPG supervising the installation of a country wide telecommunication system for the Ceylon Electricity Board. 1998-2000 call S21YP Project Manager responsible for the implementation of SCADA and Telecommunication System for the Gas Transmission Company Ltd, Bangladesh. 2000-2001 Transmission Consultant for Aircom planning transmission networks for 3G mobile networks in Luxembourg and Sweden. 2001-2006 Network Planner carrying out radio and transmission planning for 3G mobile phone operator in the UK.